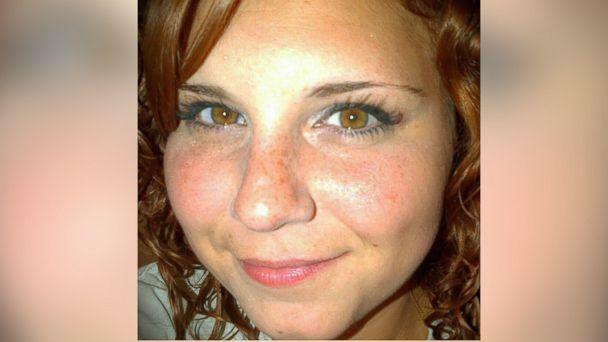 A driver rammed a car into a crowd protesting a white nationalist rally in Virginia on Saturday afternoon, killing a 32-year-old woman and injuring several others — and leaving many lawmakers and ordinary Americans shocked, angry and upset. There were two other fatalities related to the rally: Two Virginia State Police officers monitoring the situation from the air were killed when their helicopter crashed into woods nearby. The officers — Lt. H. Jay Cullen and Trooper-Pilot Berke M.M. Bates — died at the scene. The chaos kicked off when a group of white nationalists — including neo-Nazis, skinheads and Ku Klux Klan members — descended on Charlottesville for a Unite the Right rally. The gathering was spurred on by the city's plans to remove a Confederate statue from a local park. The white nationalists were met with hundreds of counterprotesters, and street brawls and violent clashes broke out. That prompted Gov. Terry McAuliffe to declare a state of emergency. As the counterprotesters marched along a downtown street, a silver Dodge Challenger barreled through the crowd. The impact tossed people into the air and left a 32-year-old woman, Heather Heyer, dead. "It was a wave of people flying at me," Sam Becker, 24, told The Associated Press as he sat in a hospital emergency room, where he was treated for leg and hand injuries. Who is the suspect, and what are the charges? 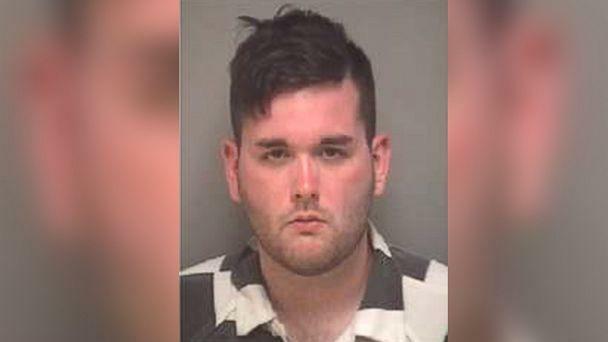 Law enforcement officials say the driver was James Alex Fields Jr., a 20-year-old who recently moved to Ohio from Kentucky, where he grew up. Fields' mother, Samantha Bloom, told The Associated Press during an interview in Toledo, Ohio, that she knew her son was attending a rally but she thought it was a rally for President Trump, not for white nationalists. "I thought it had something to do with Trump. Trump's not a white supremacist," she said. She added, "I just knew he was going to a rally. I mean, I try to stay out of his political views. You know, we don't, you know, I don't really get too involved, I moved him out to his own apartment, so we — I'm watching his cat." Fields was arrested and charged with second-degree murder, three counts of malicious wounding and one count related to leaving the scene. A bond hearing is scheduled for Monday. Derek Weimer, who taught history to Fields at Randall K. Cooper High School in Union, Kentucky, described the suspect's "radical ideas on race" to ABC's Cincinnati affiliate, WCPO. "He was very infatuated with the Nazis, with Adolf Hitler. He also had a huge military history, especially with German military history and World War II. But he was pretty infatuated with that stuff," Weimer told WCPO. He said that overall, Fields was a quiet, respectful student, albeit with radical views. "In his freshman year, he had an issue with that that was raised, and from then on, we knew that he had those issues. I developed a good rapport with him and used that rapport to constantly try to steer him away from those beliefs to show clear examples — why that thinking is wrong, why their beliefs were evil, you know, things like that," Weimer said. Virginia State Police announced on Saturday night that three other people were arrested in relation to the rally: Troy Dunigan, 21, of Chattanooga, Tennessee, charged with disorderly conduct; Jacob L. Smith, 21, of Louisa, Virginia, charged with misdemeanor assault and battery; and James M. O'Brien, 44, of Gainesville, Florida, charged with carrying a concealed handgun. Heyer, who worked as a paralegal in Charlottesville, was taken to UVA Medical Center after the ramming, where she was pronounced dead. A GoFundMe page for her memorial raised over $80,000 in just 11 hours. Of the 19 other victims of the ramming who were transported to UVA Medical Center, 10 are in good condition, and nine have been discharged, Angela Taylor with UVA Health Systems said on Sunday afternoon. She added that the hospital has treated additional patients related to Saturday’s events but the facility does not have an exact number of patients. In remarks from his golf club in New Jersey on Saturday, President Donald Trump said, "We condemn in the strongest possible terms this egregious display of hatred, bigotry and violence on many sides. On many sides." His implication that "many sides" were responsible for the violence didn't sit well with lawmakers and private citizens. "Very important for the nation to hear @potus describe events in #Charlottesville for what they are, a terror attack by #whitesupremacists," tweeted Sen. Marco Rubio, R-Fla. Facing mounting criticism, the White House issued a statement on Sunday, saying, "The president said very strongly in his statement yesterday that he condemns all forms of violence, bigotry and hatred, and of course that includes white supremacists, KKK, neo-Nazi and all extremist groups. He called for national unity and bringing all Americans together." Others politicians who weighed in were less critical of Trump but expressed their disgust at the rally and its attendees. Sen. Ted Cruz slammed the violence associated with the rally and its aftermath in a strongly worded Facebook post, writing, "The Nazis, the KKK and white supremacists are repulsive and evil, and all of us have a moral obligation to speak out against the lies, bigotry, anti-Semitism and hatred that they propagate." Sen. Tim Scott, R-S.C., the lone African-American Republican in the Senate, called the attack "domestic terror" and encouraged it to be "condemned." "Otherwise hate is simply emboldened," he wrote. Sen. Bernie Sanders, I-Vt., a self-described democratic socialist, called the rally "reprehensible." "The white nationalist demonstration in #Charlottesville is a reprehensible display of racism and hatred that has no place in our society," he wrote. Gatherings across the country were held Sunday to stand in solidarity with Charlottesville. In Washington, D.C., alone there were at least three: a candlelight vigil at the White House, the Vigil for Justice at the World War II Memorial at the National Mall and the River of Light in Solidarity with #Charlottesville at Lafayette Park. Other rallies were scheduled for Los Angeles, Seattle, San Francisco, Pittsburgh, Denver, New York City and Chicago.